Some may be inclined to think that Ofir Drori has a death wish. Others might say that he has nine lives. Everything Drori has managed to survive -- a beating by armed guards in Nairobi, multiple arrests by corrupted police forces, starvation, a violent bus crash in Nigeria, reporting from warzones in Sierra Leone and Nigeria, an attack from a three-meter long Nile crocodile in Ethiopia, confrontations with members of organized crime syndicates and rebel groups – he unpretentiously sees as a series of adventures that have each contributed to building the person he is today. In fact, it is one of these life-threatening situations that would ultimately lead Drori on a path to becoming an award-winning activist, conservationist, and founder of the Last Great Ape Organization (LAGA), Africa's first wildlife law enforcement NGO. 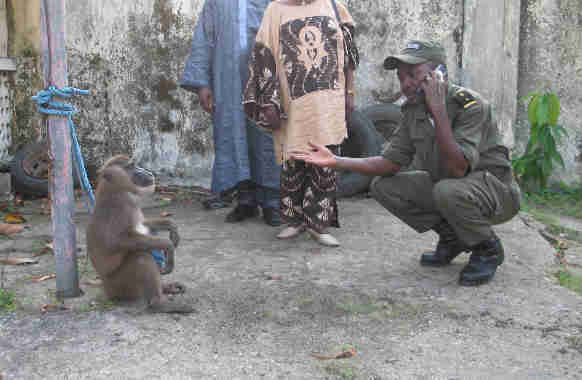 Not only has LAGA's undercover investigations resulted in Cameroon's first ever wildlife crime conviction in 2003, its anti-corruption model of law enforcement has since been adopted by a number of other organizations spread throughout nine different African countries who are together responsible for the conviction of over 1000 major wildlife traffickers to date. Nevertheless, Drori sees the fight against corruption and wildlife crime as a constant struggle. With already well over 100 major traffickers arrested since the beginning of the year thanks to Drori and his team's investigations, it is clear that wildlife trafficking shows no signs of slowing down and that major challenges lie ahead for him and his partners. Born and raised in Israel, Drori had always felt a deep connection with Africa. As a young child, he would dream of traveling to the continent and always had many questions to ask about the land he believed was as unique and different as he felt he was from the others who surrounded him. The very name his parents assigned him – Ofir -- was inspired by an ancient biblical African land called Ophir and his family name's Hebraic meaning is 'my freedom'. For Drori, his names were a calling to set out on a mission to someday explore Africa, and perhaps find some answers to life's many questions in the process. His dream materialized in 1994 at the age of 18. Within hours of setting foot in Kenya, Drori was already seated on a bus as part of an organized Safari tour that would allow him to witness the animals and the tribes that he had read so much about in his childhood. His enthusiasm quickly dwindled, however, as he became disillusioned by the unauthentic and pre-packaged world of organized tourism. Drori wanted more. Drori wanted to touch. To feel. To breathe in Africa – and all its beauty and uncertainties. On his third day in Kenya, Drori left the tour and headed for Hell's Gate National Park armed with nothing but a tent and backpack. Within the vast open valleys of the park, he felt transformed. He approached the animals and quickly found himself zigzagging through giraffes and zebras and chasing after gazelles. So engulfed by the experience, he didn't realize he had gotten himself lost, and that daylight was quickly fading. He pitched his tent and prepared for the night, unsure of where exactly he was. And then, as the night settled in, the noises started. Shrieks and groans sounded from all around the tent it seemed. Were they lions? Hyenas? Humans? Drori could do nothing but lie there and wait as pure adrenaline and fear encompassed his body throughout the duration of what he describes as the scariest night of his life. The next day, on the verge of running out of drinking water, Drori was rescued by a red shuka-clad Maasai tribesman who brought him back to a Maasai village, where Drori was invited to stay until he had no choice but to return to Israel to complete his mandatory military service. The experience in Hell's Gate made him fall in love with Africa, and like lovers held apart by prison walls, he patiently dreamed of his return to Africa as soon as he had done his time. 39-year-old Drori has now spent the majority of his adult life in Africa, journeying through the continent by camel or horseback, in canoes and on foot, searching for the most remote places and cultures. Africa has taught him the true value of hands-on experience. The value of adventure. The value of wilderness. His time spent with isolated tribes has introduced him to values that Western culture has forgotten, and the wilderness has made him realize how deeply disconnected from nature we have become within the contexts of our urban lives. Africa has given him so much that he is determined to give back. Upon returning to Africa in 1998, Drori set out to do just that. As a freelance photographer and journalist, Drori visited the war-torn regions of Sierra Leone, Liberia and the Ivory Coast to document the lives of child soldiers and later lectured about his findings for Amnesty International. He assisted with humanitarian aid, started an educational program in schools, and spent time talking to and teaching local children in the streets. In 2002, Drori went to Yelma, Nigeria to report on religious tensions in the region and how the application of Sharia law was changing after the September 11, 2001 attacks on the World Trade Centre in the United States. At the time, many of the town's residents were strong supporters of Osama Bin Laden, and it did not take much time for word to spread that an Israeli was among them. When Drori learned that his host was contacted by the townspeople to assist in orchestrating his murder, Drori decided it was time for a break, or "vacation," as he puts it. Little did he know this "vacation" would ultimately lead to the creation of the organization that would revolutionize law enforcement methods against illegal wildlife trafficking -- one of the world's largest illicit trades in volume, along with narcotics and weapons. Drori headed for Yaoundé, Cameroon. 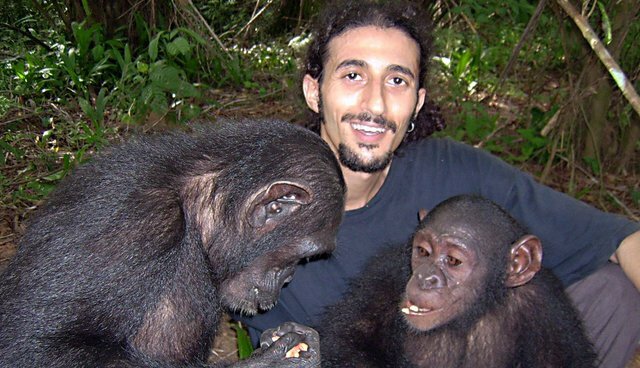 Inspired by Dr. Jane Goodall's prediction that chimpanzees were to become extinct within 20 years, he planned to write an article about the illegal trade in bush meat and of young chimps and how it was facilitated by a culture of corruption. Drori planned to end the article with "the light at the end of the tunnel": the NGOs and conservationists who were working to save the chimps. He traveled to the headquarters of the largest NGOs to learn about what they were doing to counter Goodall's prophecy. He was appalled by what he found. "Instead of finding activists in the frontlines fighting against all odds, I found a self-serving system of 4x4s driving around, big castles, and not a lot of work. People who live with swimming pools and very high-grade conditions and who are very far away from where you'd think they would be," he recounts. Unsatisfied by their answer that giving workshops and seminars was all they could do to save the chimps, Drori was resolved to dig deeper. He left Yaounde and traveled to the town of Abong-Mbang, where within only a few hours of inquiring at the local market, he was able to set up a meeting with traffickers who wanted to sell a baby chimp and gorilla. The next morning, Drori arrived at a local hunter's house to see the apes. The hunter, accompanied by a few other men, led him into the kitchen. Drori looked around at the smoke-stained cinderblock walls and ash-covered floor littered with banana peels and beer bottles. In the corner, tied to a log, lay a very young baby chimp. It seemed traumatized. Emotionless. The baby gorilla was nowhere to be found. It had apparently died. After watching the men taunt the chimp for a short while, Drori left claiming he was undecided about wanting to purchase the ape. He then went straight to the Ministry of Environment and Forestry, located on the outskirts of town. He told them about what he had seen and asked that the men be arrested and the chimp seized, as there are laws protecting chimpanzees, an endangered species. To his disbelief, the men refused to act on the case unless he "motivated" them with pay. To add insult to injury, they told Drori that if he wanted a chimp so bad, they could sell him another one. Furious, Drori retired to his hotel room for the night. Unable to sleep due to his frustration, he decided to write down everything he was feeling. He wrote about the ills of the developed world, of the NGOs he had visited who had the finances but did not do much work, the system of corruption he had witnessed, and how they were all personalized in the one baby chimp that would most certainly die if he did not save him. He then began to draft the plans for the type of organization he felt the country needed – a non-profit made up of volunteers and activists who are willing to fight to get the laws applied and to battle corruption. An organization with undercover agents, who with the help of hidden cameras and recorders, infiltrate criminal trafficking rings, gathering evidence and working their way up the hierarchy to target the biggest traffickers, even if they are public officials. An organization that partners with local authorities and police to conduct stings and arrests. An organization with a legal team to represent the cases in the courts. An organization that could conduct follow-ups on criminals and make sure they stayed in jail. An organization that could intercept bribing attempts at all levels. An organization with a media team that would publicize the fight against corruption. Without knowing it, Drori had just drafted LAGA's blueprint and mission. The following day, he returned to the hunter's house, this time with a copy of the country's book of law that stated that anyone caught with a protected species, alive or dead, was liable for a fine and up to three years in jail. Assuming Drori had returned to purchase the chimp, the hunters, sitting at the living room table, were not sure how to react when Drori confronted them. Before the hunters even had a chance to respond, Drori started bluffing, telling the hunters he was part of a new international non-profit and that people were on their way to arrest them. He even pretended to make a phone call to an imaginary headquarters. "This is the time when they got really upset and stressed – and I let them boil in their juices," Drori remembers. Soon after, the hunters agreed to give up the chimp and some information about other illegal hunters if Drori called off the arrest. He made his way over to the chimp. "I untied him from the ropes and held my two arms out," Drori recalls, "and he climbed and gave me one big hug and in one second he was transformed from a creature who didn't seem to have feelings to a real baby with emotional needs." For Drori, this hug would symbolically last a lifetime. Because of everything this baby chimp represented for Drori, he decided to name him Future. No sanctuaries were immediately able to take him in, so Drori played the role of parent for a short while. It's during this time that he became determined to prove to Future that what he wrote that night in the hotel was possible. In the 13 years since its inception, LAGA's successful grass-roots, anti-corruption model of wildlife crime law enforcement has been adopted by other organizations, all now networked under the banner of EAGLE. The network has allowed the LAGA model to spread from Cameroon to the countries of Togo, Benin, Senegal, Guinea, Congo, Gabon, Uganda, and the Central African Republic. Plans to replicate the model in Kenya and the Democratic Republic of the Congo are currently underway. 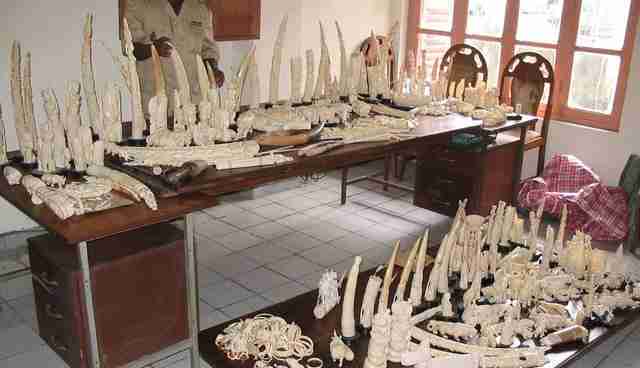 The network's results demonstrate its efficacy as no less than 130 major traffickers caught dealing everything from ivory, pangolin scales, sea turtle shells, elephants body parts, royal pythons, crocodiles, leopard skins, and ape skulls were arrested in the first half of 2015, according to their activity reports. Dr. Sheri Speede, founder of In Defense of Animals – Africa and the Sanaga-Yong Chimpanzee Rescue Centre, where Future now resides, was at first skeptical that Drori's plans to create an organization that assists an African government with enforcement of wildlife protection laws would prove successful, as it was something that had never been done before. "While I though it was a good idea, I wasn't really sure that this Israeli kid in his 20's with pony-tail, earring and jeans was the person to carry it out," she remembers. "But thirteen years later, Ofir is wise beyond his years and continues to carry out his ideas in spectacular fashion in Cameroun and other countries. I have grown to respect him and his work a great deal." At the Sanaga-Yong Centre, Future benefits from a 20-acre lushly forested enclosure within which he has become the alpha-male of a social group of 22 chimpanzees. 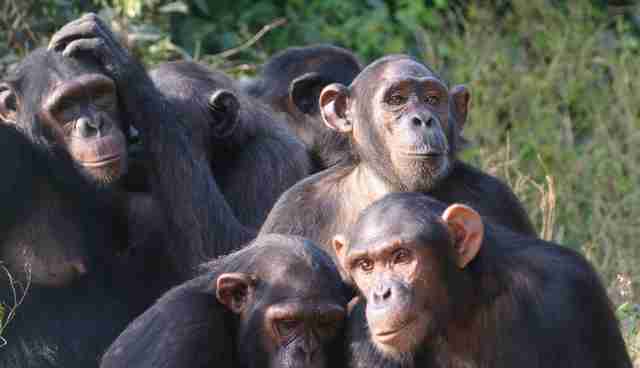 After much careful planning, the centre will soon attempt to release the group back into the forests of Cameroon. Drori's dedication to combatting wildlife crime has earned him several commendations over the years, including the prestigious World Wildlife Fund's Duke of Edinburgh conservation medal he received at Buckingham Palace in 2012. "The most endearing character about Ofir which so few people get to see, primarily because he's perceived as being a hardened enforcement expert and is very direct and honest in public flora, is how much he cares about people who are unable to fight for themselves," says coordinator of the WWF African Great Apes Programme David Greer, who nominated Drori for the award. What Greer finds the most admirable about Drori is that while most conservationists are primarily focused on protecting critical biodiversity and habitats, Drori is attempting to change a deeply-engrained culture of corruption to allow for meaningful political dialogue, the creation of a true and respected 'rule of law', and ultimately, a fair opportunity for any citizen to have access to a decent education and livelihood. Whereas the WFF was historically hesitant to address corruption issues by fear of losing its right to operate in Cameroon, it has since incorporated the LAGA approach, Greer says. The organization's now two-pronged approach - targeting trafficking kingpins while keeping rangers stationed in important biodiversity areas to prevent poaching - has had some success, but as long as the culture of corruption is condoned and practiced by the highest level government figures it will be hard for real progress to take place, he adds. Similarly, and regardless of all the praise he has received, Drori cannot say he is optimistic about the future of conservation in Africa, unless there is a shift in focus away from seminars and conferences and towards strong anti-corruption enforcement in the field. "Corruption is really the first enemy and everybody needs to start realizing that and re-orienting themselves. It's getting better, but we are much behind in the fight against wildlife crime because the criminals are far more organized," he explains. "No we are not winning right now. But maybe, if there will be a paradigm shift, we will start gaining ground here." Drori does not see his work as a job, but as a mission - "a fight that needs to be fought." When your opponents are corrupt officials, criminals, mafias, and armed rebel groups, death is a very real possibility. To this day, however, security procedures have always ensured that no one has gotten killed regardless of the countless death threats he and his team have faced. Yet, as Drori writes in his book The Last Great Ape: A Journey Through Africa and a Fight for the Heart of the Continent, he has come to terms with dying as long as it is within the context of his mission on the continent he fell in love with when he was 18 years old.